It’s time to emerge from winter hibernation! Senior Citizens have been indoors during the cold winter months and now that spring has arrived, it is time to get back outside and move. Warmer weather means more opportunities for outdoor activities in the spring. Regular activity lowers the risk of severe physical and emotional problems. Senior Citizens who get regular exercise are less likely to experience depression, chronic conditions, and memory decline. 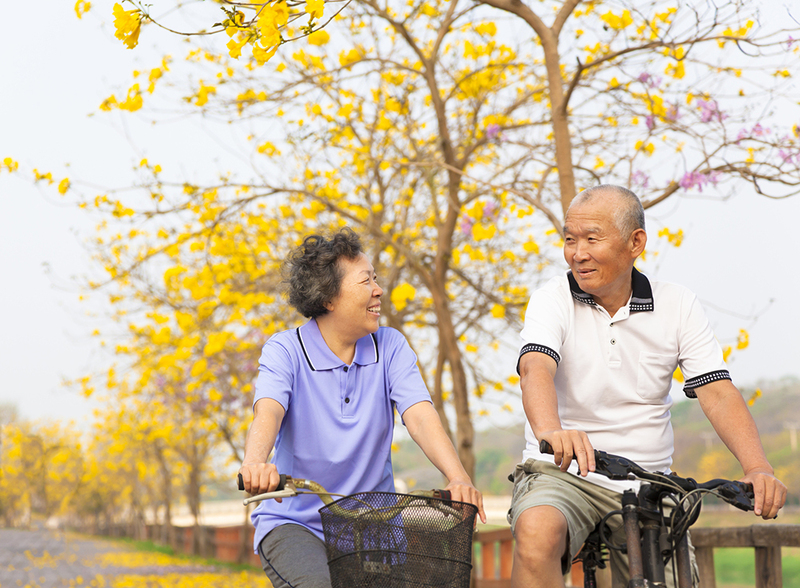 Encourage your loved one to stay active so they can better enjoy their senior years. There are various outdoor activities you can do in the springtime. Now that the weather is getting warmer, this can be as simple as going for a walk or visiting a park. Walking – The most simple outdoor activity is going for a walk. Join up with a friend or two and take a stroll. Hunterdon YMCA has a walking club that meets every Wednesday at 10:00 a.m. (weather permitting) at the township park. There is also the Hunterdon Hiking Club that offers many opportunities to meet up and enjoy the outdoors. Bocce – Bocce is a lawn bowling game that involves throwing balls to try and hit a target ball. Hunterdon County Senior Center hosts Bocce at 10:00 a.m. on Mondays and Tuesdays starting in April. The Bocce court is located on Wescott Drive behind Route 31 County Complex. You can also use the court and equipment at other times upon request. Canoeing – Paddling on the water is a fun way to spend a spring afternoon enjoying nature. Hunterdon County Parks and Recreation offers “Pond Paddles” on Clinton Pond in April. Flatwater is a good, low impact trip for Senior Citizens. A Certified Homemaker-Home Health Aide or Companion Aide can help your loved one stay safe and active. We are Families Helping Families. Call 908-788-9390 to schedule an appointment.